The 2017 Stone Open was held on September 10th, 2017 and raised over $2,800 for the Special Operations Warrior Foundation after raising $1,500 in 2015. 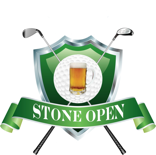 The 2018 Stone Open will be held on Sunday, September 9th 2018. Registration will be open later in 2018. Thank you to our sponsors for the contests, gifts and more. We hope to see you there again in 2018!